or how to make a chocolate cake in 7 minutes from start to finish. 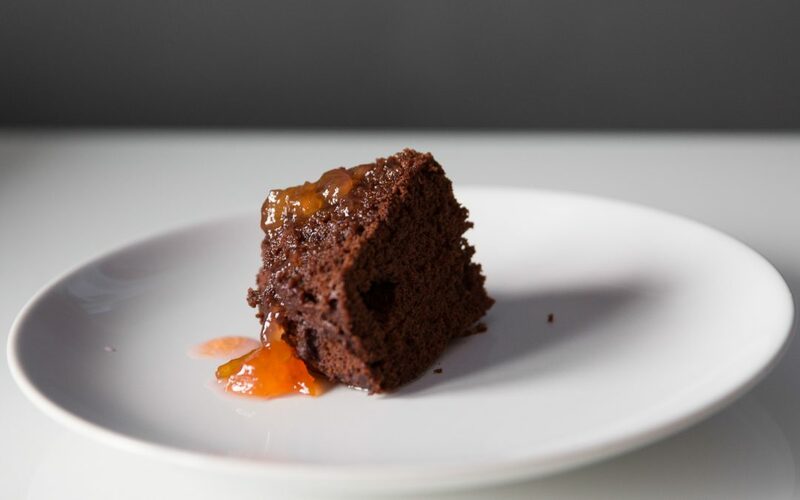 It’s not going to win any awards for looks but it tastes just like one you’ve made via the traditional method so it’s perfect for those days when you just fancy a slice of choccie cake with your afternoon cuppa but you haven’t got time to make a proper one. Put the butter in a 1-litre microwaveable jug and heat on high for 20-30 seconds until it has melted. Mix the flour, sugar and cocoa powder well in a separate bowl then stir it into the melted butter along with the egg, milk and vanilla essence. Mix well until everything is thoroughly combined. Put the jug back in the microwave for 2 mins 20 seconds. (This works for my 1000W microwave – adjust the time up or down to suit your microwave’s power rating). Take the jug out of the microwave and loose the cake from the edges of the jug with a palette knife. Turn the cake out on to a plate and serve. If you want to make it a bit moister, cut it in half and spread with your favourite flavour of jam or pour runny jam over the top of it.